For most of our history, the sense of self was something deeply personal; shared sparingly with a handful of trusted friends and family. Today, identity is a convergence of 3 dimensions: Personal, national & digital. Tech and culture have transformed identity into a medium of exchange. In a connected world, context is essential for meaningful interactions and user experiences. From social media and the sharing economy — to VR and autonomous cars — the future of the human race is being shaped by hackers and painters. And everyone has a role to play. 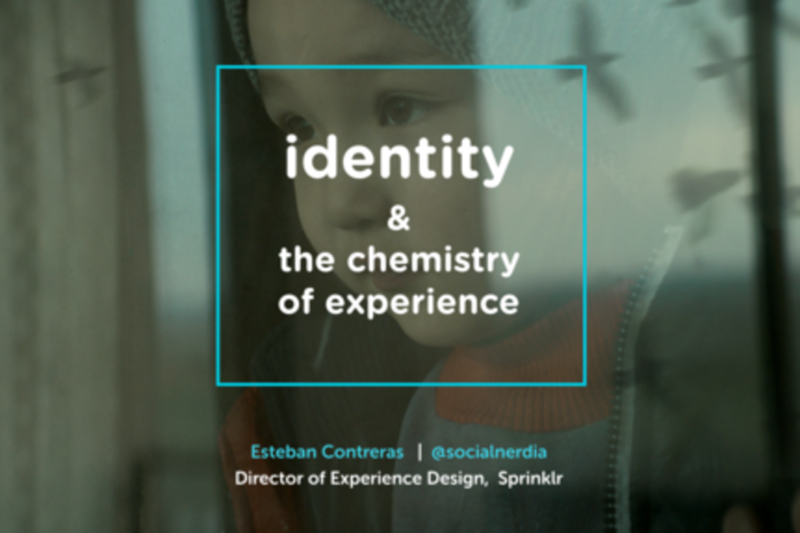 Sprinklr's Director of Experience Design will describe what identity and the chemistry of experience mean for brands, startups and society. Director of Experience Design at Sprinklr. CX, UX and all things digital. Previously at Samsung. Author of Social State. Tech startup advisor. Made in Guatemala. Living in Vancouver, BC, Canada with my wife, son and two dachshunds. On Twitter @socialnerdia. I'm a featured speaker at SXSW Interactive this year. The title of my presentation is "Identity and the Chemistry of Experience." I'll be speaking on Sunday, March 13 at 5pm - Room 18ABCD, 4th floor, Austin Convention Center.